WAEFRD | What Does WAEFRD Mean? WAEFRD means "When All Else Fails, Read Directions". 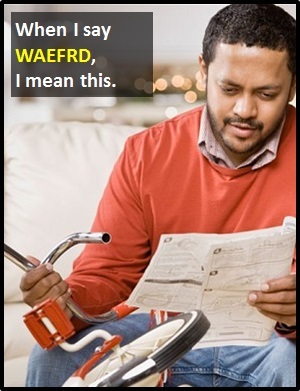 The image shows a man deciding to read the instructions after failing to assemble a child's bike.